A cyberattack on Oct. 21 used millions of internet-connected devices to flood the infrastructure of one of the biggest internet routing companies in the US with malicious traffic until it crashed. The attack started on the East Coast but soon spread westward in three waves during the day. 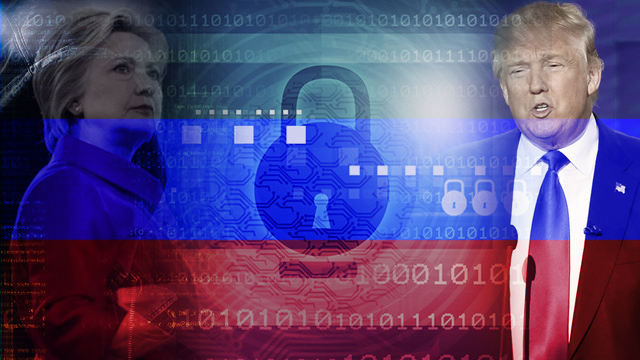 Cyber experts suspect that this unprecedented assault, on a massive scale that points to a state hacker – whether Russia, China or North Korea – may have been staged as a rehearsal for the main show, the disruption of America’s Nov. 8 elections. There is increasing concern that voters in the 31 states, where civilians and American troops overseas may cast their ballots by Internet, will find their websites disabled by hackers. Around one million US voters would be affected, a critical figure in a tight presidential race between the Democratic and Republican contenders that could create mayhem for American democracy. It seems that unlike previous distributed denial-of-service (DDoS) attacks, the hackers succeeded in wielding a novel weapon, which is the “next big thing” in malware, known in tech parlance as the “Internet of Things” (IOT). Not only are computers connected to websites directly attacked, but millions of internet-connected devices smart home gadgets, like cameras, baby monitors, remote garage openers, smart refrigerators, DVDs are infected without their owners’ knowledge with software that exposes them to be used by hackers to swamp the victims with overwhelming traffic. Since these internet-connected devices are easy to use and relatively cheap, little attention was given to information security when they are developed. For some time, cyber experts have been warning of the potential for major cyber damage from IOT. The Internet networks in the eastern US were almost completely shut down on Friday morning (local time) when one of the biggest domain name system providers, the Dyn DNS Company, was struck down. Dyn reported that starting at 7:10am, its DNS servers came under a DDoS attack, which floods servers with huge amounts of malicious traffic. Users reported problems that sporadically shut down several websites, including Twitter, Netflix, Spotify, Airbnb, Reddit, Etsy, SoundCloud and The New York Times. The first wave lasted about 90 minutes. The second wave, which started two hours later, knocked out many West Coast internet sites offline. debkafile’s cyber defense and intelligence sources report that investigators are looking into two possible causes of the Oct. 21 onslaught. Rather than waiting for the blow to fall, it is possible that Russian President Vladimir Putin decided to send a clear warning to Washington not to start a cyber war with Moscow. Another possible culprit may be a company seeking revenge for its public denunciation by a Dyn Company leader for developing advanced means and methods for carrying out DDoS attacks.